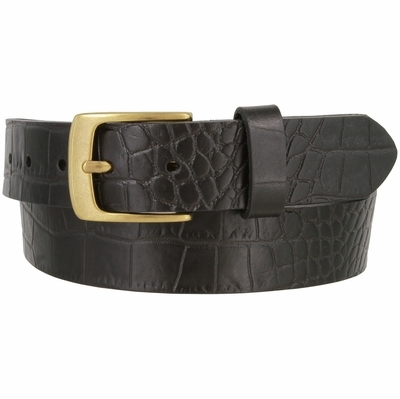 Crocodile Embossed Genuine Leather Casual Belt. 1-3/8" = 35mm wide One-Piece Leather with Crocodile Embossing. Antiqued Brass Plated Buckle and Leather Keeper. 7 Adjustment Holes for Comfortability.